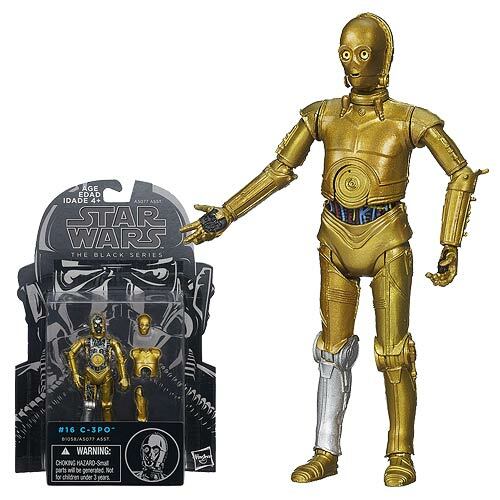 Q&A: Star Wars Droids, Big Figures, and Old Figures - We Got It All! 1. 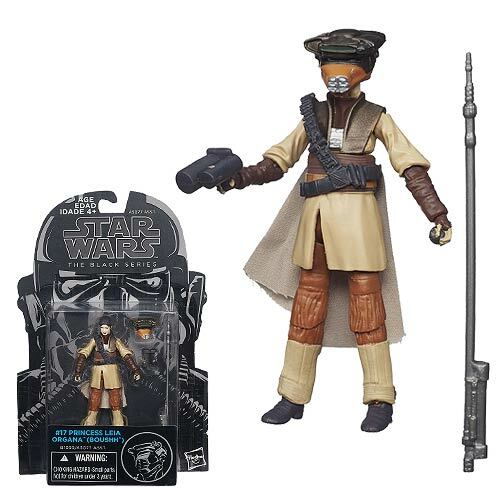 Did Hasbro make an overabundance of the 6" Black Series Han, Greedo and Slave Leia figures? Every time my stores run out it's replaced with three or four of each of those figures. As a matter of fact I've had better luck at Walgreens than the "big 3" for finding them. I scored my Yoda, Darth Vader, Chewbacca, the 2nd Sand trooper, the TIE pilot and ROTJ Luke there as well as Super Trooper Boba Fett. Do they just have a guy who's better at re-ordering than the top three toy selling companies in the US? 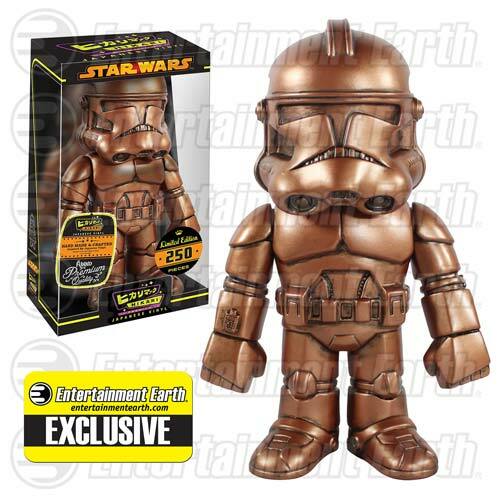 Or have not enough collectors caught on to this yet? You ask a good but difficult to determine question. What is "too many?" The answer seems obvious, but it's not. There's something fans have discussed for years called "last wave syndrome" by which whatever the last wave before clearance (or the line ends) ends up being shorted due to unusual distribution or the collector being slow on the draw - and of course, the actual production numbers are a closely held secret that even I don't know. When the first wave of 6-inch figures came out people said "Hasbro made too many of these." Amazon blew them out for $10-$13 - really, really cheap. The were a part of "first wave syndrome", which has happened a lot more - the first batch of figures actually gets really good distribution and fans immediately get their fill, while speculators have no reason to buy any to flip. They're common, they're out there, and usually this can continue until wave 2 or even wave 3 when things start backing up and stores say "no more, please." 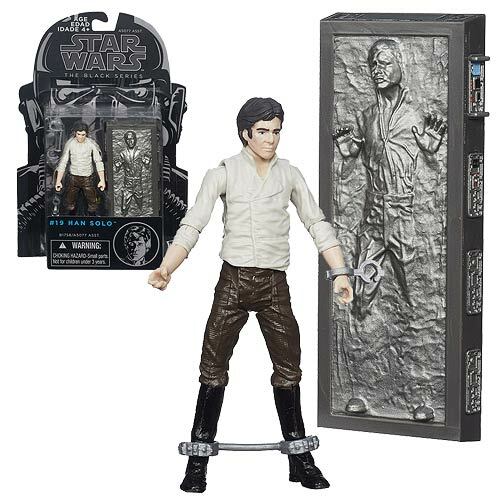 Wave 2 hit pretty hard and fast, with some figures shipping again in subsequent waves - Hasbro's decision to put out a Han/Greedo 2-pack was a pretty questionable one, plus Han shipped by himself again. Slave Leia didn't turn out great, and I'd argue neither did Greedo - but Boba was fantastic and kept selling well, so I have little doubt that your main problem was a character imbalance issue. We see something like that with Darth Vader, in that he vanishes immediately and we as fans have zero patience for anything we already own. 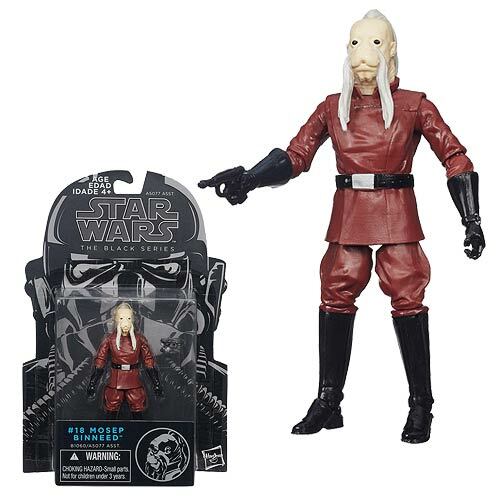 Big stores can't really specify what they order - they can say "I need more of Black Series 6-inch figures" but they can't/don't say "I need more of Wave 3." The entire assortment system was (allegedly) developed to allow Hasbro (and then Toy Biz, Mattel, and so on) to control product flow and relieve their Top Five clients (formerly Target, Walmart, Kmart, Kay-Bee, and Toys R Us) of the responsibility of what to stock. It wasn't developed for the collector era, and most of this was pre-internet - and it worked. When you're dealing with a huge chain and giant orders, nobody wants to micromanage anything so they don't. They don't/can't say "I need more Darth Vaders!" and actually do anything about it, so Hasbro does their best to make a good assortment and the store does their best to put toys on a shelf and then do nothing. That's how the business works usually... either you go to the store wanting it thanks to Hasbro's massive marketing budget, or the packaging sells you on it when you see it. If the character selection wasn't tuned properly, stuff sits. Back in the 1990s, stuff sat hard and fast - Kenner launched the line in 1995 and by Summer of 1996 we had some pretty notorious pegwarmers from wave 3. Dagobah Luke and Hoth Han sat for months - in some cases, years - at stores. Also, this has repeated itself in other lines and it varies by region. Here in Phoenix I notice that some neighborhoods have a variety of figures sitting around, while others would comically have dozens of the same guy sitting unsold with no sign of anyone else. 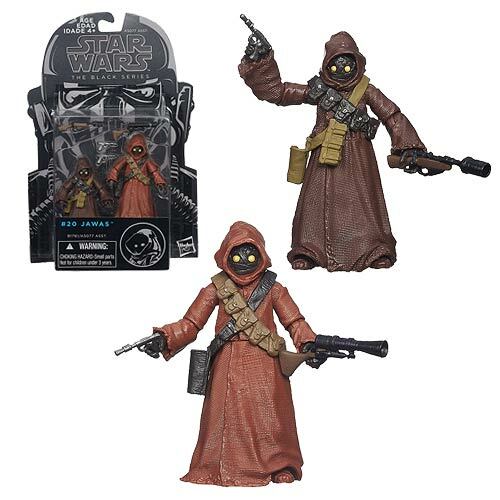 Similarly, the 6-inch pegwarmers where I hunt tend to be newer, with the exception of unsold Obi-Wan Kenobi in your choice of packaging. Walgreens has more locations, a strange methodology of stocking its shelves, and shocking amounts of foot traffic. Last year each store would only put 3 figures per shipment per store - so a fraction of a case. This reduced duplicates, and I have no idea if it helps turnover. The Walgreens toy buyer is a collector himself and pretty active - since Walgreens is a prized account for any manufacturer, I don't doubt Hasbro made some special requests for them in order to keep them happy, but what those are I have no idea. Getting your stuff into Walgreens could probably make or break you, just like getting into Walmart. They're a huge customer, despite having tiny stores, and only putting out 3 figures at a time does wonders for ensuring things don't back up. It also takes a lot more work to manage and split up cases (for Walgreens these are seemingly 4 or 8, depending on the assortment) but like you said - there are clearly special things going on behind the scenes given their increase in exclusive products which is about to get a whole lot increasier. Use Code MARVEL20 - $20 Off Guardians of the Galaxy Exclusive! 2. So last week [2012 The Legacy Collection] action figures on packaging that was never made showed up in stores. How didn't we know about this. How did this happen? Now we see released figures in super short supply while figures that don't exist are suddenly existing. Going forward is this the new normal or are we just seeing the end of an awkward transition period before The Force Awakens? This sort of thing is really uncommon - not unprecedented, but unusual. Sometimes small batches of a product exist only to get dumped... somewhere. Sometimes it's when a toy company decides to have a big clearing of old stock in its warehouse, sometimes it's because a storage locker or "lost" container gets opened, but rarely is it sold at premium pricing at a store nobody's ever heard of. Since the figures had 2012 date stamps I'd probably wager heavily that the size of the run is really small. I don't want to wager a guess, but it's not unheard of for "transitional" product to get made in small runs, sit around, show up, and vanish - which may mean there's hope for the last wave of Reveal the Shield Transformers or Star Wars Amp'd. Sometimes weird stuff shows up in Mexico or China or in a company store somewhere, for reasons we may never know. So Chicken Little, the sky is not falling - thanks to the 2012 date stamps, we are dealing with what probably is some sort of fluke. Someone, somewhere, found figures (and for all we know this could have happened in some weird extra-Hasbro-rial situation) and these things just appeared. I'm just as surprised as everybody else, but there are going to be times like this again - but they may not effect us, or even be things we necessarily hear about until after the fact. This isn't even fair to call an "awkward transition" - what you're seeing is most likely fallout from an accident, and you'll probably see something else like it in another ten years. 3. 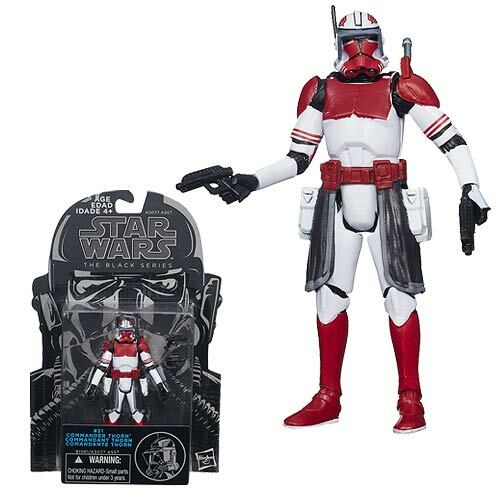 Imagine Hasbro decided to do a throwback line and make Kenner-style versions of figures that were never produced in the original 77-83 years. Who would be your top 10 requests from the original trilogy movies? Vlix. That's basically it - anything past what was intended in 1985 is going to look wonky and invoke arguments about authenticity. So any Ewoks or Droids TV figures or actual documented Kenner concepts are welcome, particularly if they were sculpted. Beyond that, I do not wish to waste anyone's time with a top 10 request of my opinions because I assume most of you care less about what I like than I do. Hasbro's decision to release the rocket-firing Boba Fett is the kind of thing that I would like to see - at this point with the new movies, the 6-inch line, and apparently an unlimited supply of Astromech repaints I don't really even want to think about starting a faux old line. Even though I do like that sort of thing. I got in late to the whole "Star Wars Channel" rumor/fact thing, which sounded short-sighted and the more I think about it the more I wonder what it really could be - I mean, I like Star Wars and there's not all that much of it. You've got six movies (14 or so hours), 39 episode of Ewoks and Droids combined, 121 episodes of The Clone Wars, 13+ episodes of Rebels, four hours of Ewok movies, about two hours of the original Clone Wars show, and if you're feeling saucy I guess you've got behind-the-scenes specials, the Holiday Special, and clips of archival footage of everybody appearing on talk/variety/other shows. I think at best here, we're looking at a solid week - add in unaired episodes of Star Wars Detours and maybe you've got an extra day depending on how your late-night infomercial slate looks. It's a fascinating idea from a fan perspective, but one that could be paved with peril. There's good business in "Talking Dead"-style shows and it's possible that you could wind up with a network whose sole mission is to comment on itself, thus creating some sort of entertainment singularity that probably drives away some of us while cultivating an entire new breed of us at the same time. Now a Star Wars day on a Disney channel every week, that just sounds like a great idea. Or weekends. Star Wars Weekends if you will - hopefully someone isn't already using that name somewhere. Ah well, if they are maybe Disney can convince them to let Disney use it. Of course they could also just make enough new programming to float a network, but that'd be ridiculous. 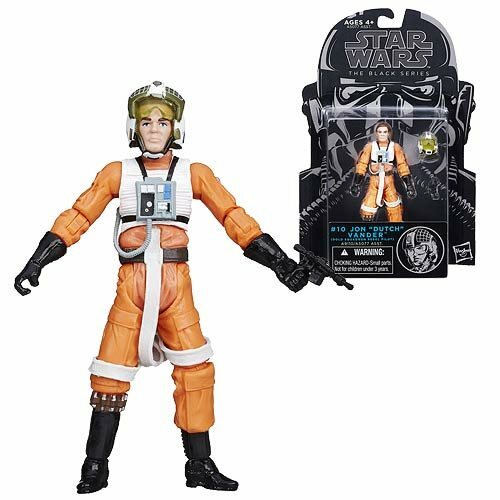 Also, a new Black Series case hit last week - be on the lookout for Imperial Navy Commander (repack), Captain Rex (new pinhead), Commander Wolffe (new short), Stormtrooper (old figure with new head), Darth Vader Dagobah Test (rehead), Chewbacca (rehead), Commander Doom (Rex with new head/torso and deco), Hoth Luke (rerelease), and Jon "Dutch" Vander (new body - the last release wasn't super articulated). There's a clear issue on the Clones being inconsistently sized, and Rex has the pinniest pinhead that ever pinned. 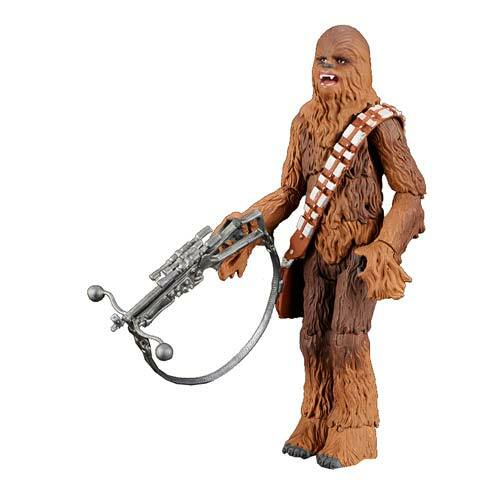 I'm sure this wave will sell well because the balance is pretty good for collectors, and since Chewbacca has been off the market for closer to a year now you really can't complain too much. I am glad that there are figures making their figure debuts, or live-action debuts as it were, but it still feels kind of hollow. For The Black Series, a wave of 3 new-to-super-articulated-realistic-figure releases is pretty nice. But I got the cheap Rex last year... and Wolffe is short. And Rex' head is too small. I'm actually really impressed by Wolffe as a standalone figure, but it also shows that the reliance on older tools made the line a little stale, and scale is well beyond being regulated at this point. It's not unexpected with a line of this size, but it does take some of the shine off when the best you can say about a new figure is "It's OK, it's kind of different, I guess." And in conclusions, just as I'm about to finish the Droid Factory in Figure of the Day, I got wind that 14 more (25 total) are now a part of the 2015 series at Disney parks. The good news: orange and more purple. The iffy news: another red R4, R5, and another R2-Q2. I guess the funny thing is someone, somewhere other than me decided that BoShek needed a droid.